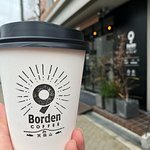 I was in Osaka when 9 Borden Coffee opened, tried it and discovered my new coffee hangout. 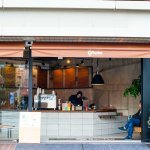 Delicious coffee, sweets, snacks, sandwiches and friendly and personable owners. After going home for a little over a year and then returning, you can imagine my surprise when I came through the door and was greeted with, "Chris! Welcome back! How are you?" Our favorite coffee shop in the world! 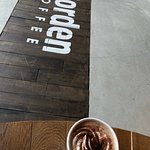 If you’re ever on Osaka, you NEED to make the trip to 9 Borden coffee! 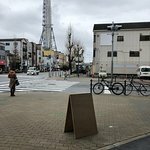 The coffee and food are absolutely delicious (the creme brûlée latte and ham&cheese sandwich are our personal faves), the staff is friendly (& speak fluent English), and it’s just down the street from the Kaiyukan Osaka Aquarium (both are right off the Osakako train station). 3 Michelin Stars in our book! 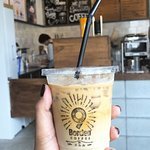 Stopped by for a coffee, can recommend the iced Royal Milk Tea Latte! Really great spot, nice to sit inside. On the way back from the aquarium, having a great coffee with a perfect taste ended well the day! The workers are very nice and friendly, the taste of the coffee is incredible! 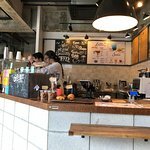 As it’s not so easy to find a good coffee in Osaka, I’ll recommend strongly that place! 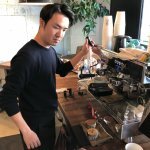 The best coffee ever tasted in Osaka! Recommended by a friend who resident in Japan and we were not dissapointed! 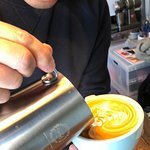 We highly recommend their cortado and cappuccino! 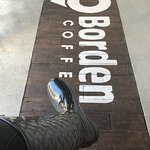 Been to 9 Borden Coffee? Share your experiences!